Providing you the best range of eot crane remote control, eot cranes communication system, eot cranes joystick remote, f21-2s industrial overhead crane radio remote control, f21-4d radio remote controls and f21-e1b radio remote controls with effective & timely delivery. 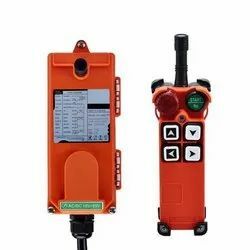 POWERLINE are the one of the leading manufacturer and supplier of wireless radio remote control system Description F21-4S for single-speed single -hook/hoist between the two directions and 7 contact the following remote control of industrial use. 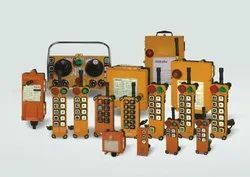 control up to 7 ponts. 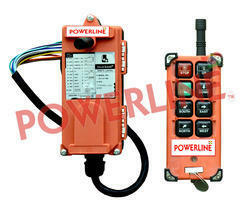 warning devices with battery voltage, the voltaage is less than its own circuit. security key switch to prevent unauthorised use. sent by the computer interface to the internal functions. up/down/east/west can be set as whether mutual inhibition. POWERLINE offers a broad range of pendant stations for cranes, hoists, monorails and other electrically powered machinery. 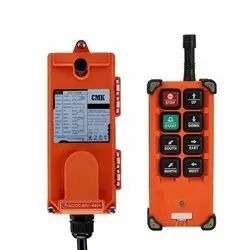 These handheld control devices facilitate a variety of operations while fully protecting the electronics inside. 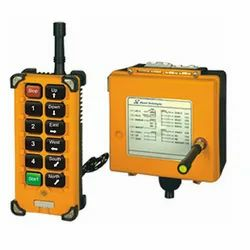 Pendant station enclosures we offer are lightweight, ergonomically designed and built with high-impact polymer plastic to survive the inevitable bumps and thwacks of life in an industrial environment. Several of the enclosures are even waterproof. 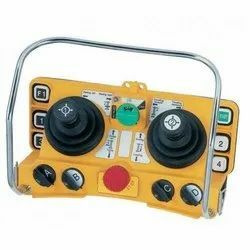 Our push-button pendant controls range from small, economically priced two-button enclosures to sophisticated multi-function controls suitable for large-scale materials handling applications. 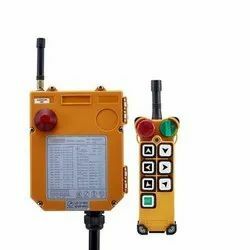 All pendant station enclosures have been designed for exceptional versatility, providing maximum safety to both the operator and the materials. 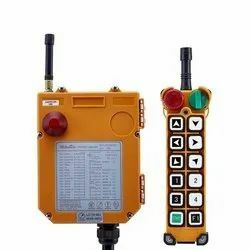 The Radio Remote Control is designed with advanced technology these design satisfies all requirements in diverse industries, its programmable systems are suitable for different function settings applied in various equipment. 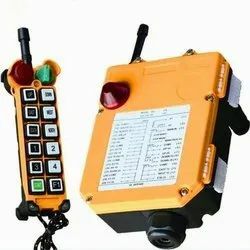 This Radio Remote Control can be fitted as standard device for various material handling equipment applications such as overhead crane, bridge crane, jib crane, tow truck, truck tail, concrete pump truck, tower crane, gantry crane, monorail, hoist, lifting equipment, conveyor, furnace door gate and construction machineries. 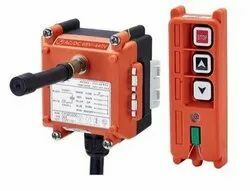 We have a tiny module, designed to reduce user fatigue and to improve operating performance and safety. We ensures that smoothly operation under severe environmental conditions. Especially where there is a serious interference and temperature change. We are design durable, economical and low-maintenance structure.